Who has time for slow drains? 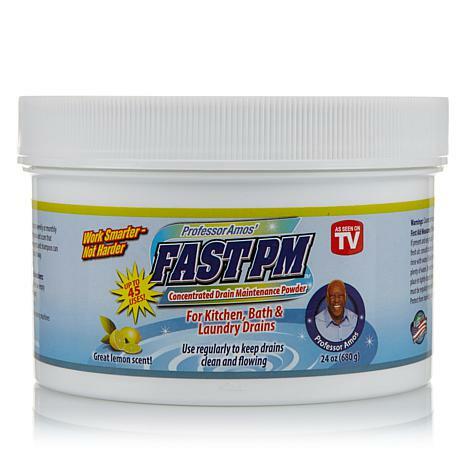 Use Fast PM Powder for preventative maintenance in all your home's sinks, showers and tubs to help keep build-up at bay. Powerful grease-cutting ingredients help rinse away soap-scum and build-up that can form in pipes and slow down your flow. Way to get things moving again, Professor! I HAVE BEEN USING THIS PRODUCT FOR ABOUT 6 YEARS. MY HOUSE IS 68 YEARS OLD. 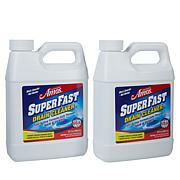 NO PLUMBING PROBLEMS SINCE I BEGAN USING THIS PRODUCT EVERY MONTH. I FOLLOW THE MIXNG DIRECTIONS. A VERY GOOD PRODUCT. 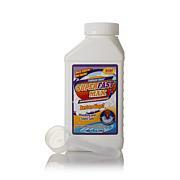 Really like this product. 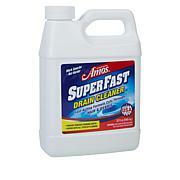 Periodically my drains start running slow. One application and they are cleared up. This stuff WORKS! What else matters?